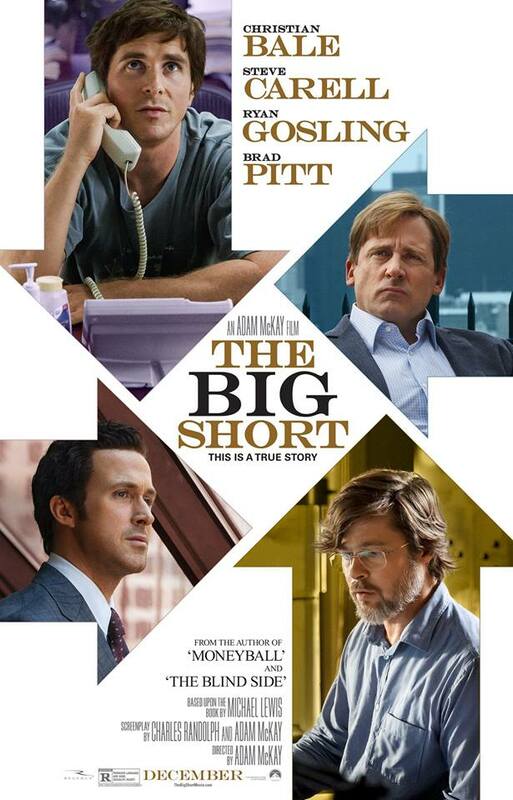 Critically acclaimed comedy-drama flick; about the financial crisis, of 2007 to 2010, and the clever businessmen who were able to profit from it. The film was directed by Adam McKay (who's helmed such other comedy classics as 'ANCHORMAN', 'STEP BROTHERS' and 'THE OTHER GUYS'), and it was written by McKay and Charles Randolph. The movie stars Christian Bale, Steve Carell, Ryan Gosling, John Magaro, Finn Wittrock, Jeremy Strong, Hamish Linklater, Rafe Spall and Brad Pitt. Along with it being impressively critically rated, the film is also expected to be nominated for multiple Academy Awards (including Best Picture). I found it to be a very insightful, and highly entertaining, movie. 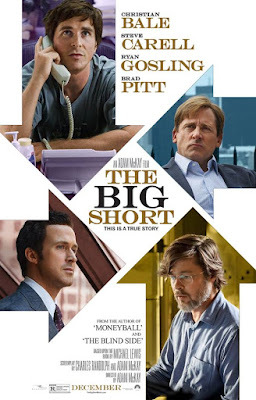 The story begins in 2005, when Michael Burry (Bale), a socially awkward hedge fund manager, predicts the upcoming financial crisis (due to the unstable housing market) and decides to bet against it. Burry creates a 'credit default swap market', much to the dismay of many of his investors. Multiple other businessmen catch wind of Burry's plan, and decide to pursue similar financial ventures. They include trader Jared Vennett (Gosling), hedge fund manager Mark Baum (Carell) and retired banker Ben Rickert (Pitt). The true story follows three different groups of people; as they follow their American dream, of becoming rich (while everyone else's dreams collapse). The movie is very informative, about what caused the economy to fail (in 2007). It's also very detailed, and educational (in it's explanations), while trying to remain entertaining; at the same time. I still got lost, multiple times, but I also learned a lot too. Besides being politically fascinating, the movie is hilarious, and full of complex characters. It's a lot more insightful, than anything McKay has done before. What's really odd about the film, is that it almost has you rooting for the U.S. economy to fail; just to prove it's likable characters right (I especially like Bale's character, Michael Burry). The film is a must see!